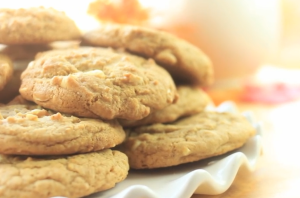 Without sounding like a crazed subway fan, I really love these cookies, just so much from that I just had to find a way to make them my way and at home. I have mixed a few up and this is the one that I like the most. Remember to under cook the cookies to make them more chewy. 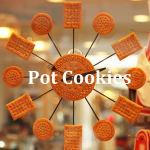 Recipe makes 1 1/2 dozen medium cookies. 1/2 cup macadamias – halved and broken up into smaller pieces. Melt your pre-made cannabutter in a medium bowl in microwave. 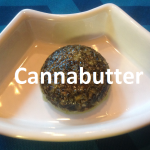 See Cannabutter recipe here. 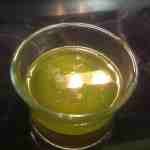 Cream together the melted cannabutter, light brown sugar and white sugar until well blended. Mix in the sifted ingredients until just blended and gooey. Optional: scoop out some dough for the cookie dough lover. Scoop down sides to make sure all dough is in the bowl before starting to add Macadamias. Stir in the macadamia nuts first by hand using a wooden spoon or rubber spatula. Stir in the chocolate chips by hand using a wooden spoon a small portion at a time. Scoop dough out with a spoon and place one at a time onto the prepared cookie sheets. Cookies should be about 1 inches apart or so.